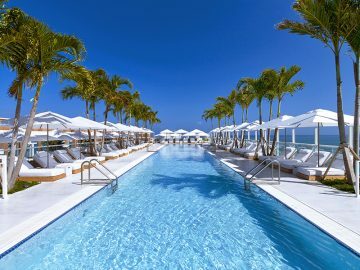 Undoubtedly one of South Florida’s most affluent neighborhoods Bal Harbour is, technically, a small village located between Biscayne Bay and the Atlantic Ocean. A shopper’s paradise, Bal Harbour is the home of Bal Harbour Shops, a high-end luxury shopping venue with stores like Chanel, Marc Jacobs and Balenciaga. But shopping is not the only thing that will occupy your time: star restaurants, championship golf, deep-sea fishing charters and luxe spas are all yours for the asking. 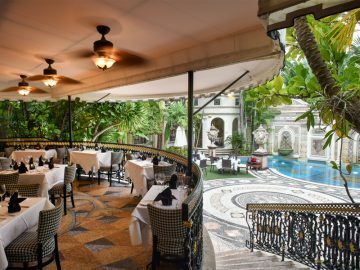 Located southwest of downtown Miami and close to the Port of Miami, Coral Gables feels like a world away with its lush green spaces, plazas and fountains, and Mediterranean Revival architecture. Called the “City Beautiful” it’s a great shopping destination, boasting plenty of larger chains as well as smaller, inviting boutiques. Looking for a bite to eat? You won’t have to look far, as the area is also known for plenty of eateries that cater to every craving. Located just minutes from Miami International Airport, the neighborhood of Doral is a community centered around the sport of Golf. With several courses including the famous Blue Monster there are lots of opportunities to hit the links. Downtown Miami and the Brickell neighborhood are the city’s cultural and financial centers. This is where many Floridians reside, in the numerous luxury apartments and high-rise condos that fill the Miami skyline. And where there’s plenty of people there’s also plenty of dining choices, shopping, nightlife options and cultural venues, making it a great place from which to explore all that Miami has to offer. Miami Beach is found slightly north of South Beach and has a more chilled out atmosphere than SoBe. 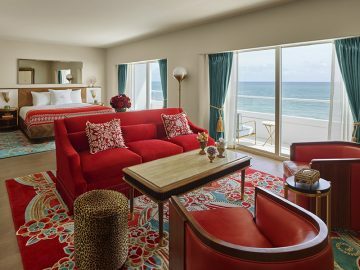 Here you’re close to the notable Bass Museum of Art, the fantastic shopping at Lincoln Road Mall and the Miami Beach Convention Center. 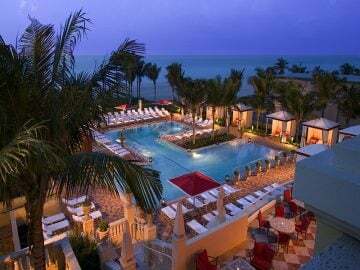 And while you’ll also have pure white sand beaches and plenty of delicious eating options at your doorstep, you’re also just a wee distance away from South Beach’s non-stop nightlife action. 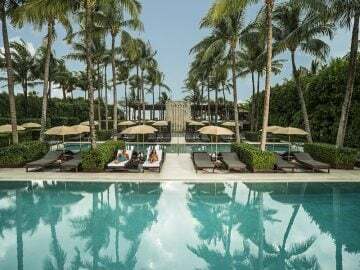 Miami’s South Beach area is hip, happening and the nightlife carries over into the day. With beautiful sand beaches, incredible Art Deco architecture, celebrity restaurants and excellent shopping this neighborhood has it all going on. 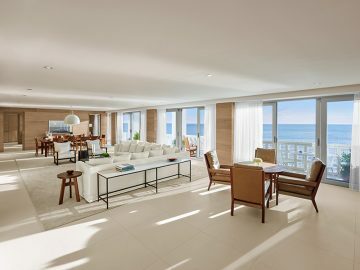 For those who want to experience the excitement of South Beach but want to have a quiet retreat to return to, stay in the area’s Millionaire’s Row – where luxury hotels are found next to expansive and expensive condos. Exclusive Sunny Isles Beach is at the very north end of Miami Beach, nestled between the Atlantic Ocean and the Intracoastal Waterway. Just 12 miles north from South Beach, Sunny Isles holds its own in offering visitors a plethora of options when it comes to dining, shopping and nightlife plus, if outdoor pursuits are what you’re after, head to the largest urban park in Florida where you can try your hand at nighttime paddleboarding, kayaking, mountain biking or fishing. With bright skies above and clear blue water just steps away, Miami is a gorgeous getaway for any type of travel. The city’s Art Deco architecture is so unique that it’s been granted a Historic District status. The area has hundreds of Art Deco buildings dating back to the 1920s, beautifully maintained or restored and featuring bright whites and blues that harken back to another era. The city also boasts a vibrant art scene, with dozens of galleries showcasing collections that run the gamut —from modern to abstract and beyond. The cultural fabric of Miami has ties to the many Cubans who have migrated here, a phenomenon reflected in many of the city’s culinary options. From savory sides to fresh seafood to tropical fruit and more, these eateries have defined Miami’s dining scene for years. They’re complemented, of course, by a stellar cross-section of restaurants that bring in Italian, Mediterranean and steak house flavors —all with killer cocktails and imaginative wine lists. 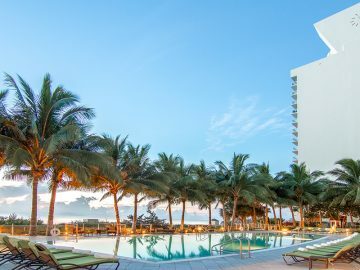 Of course, no stay in South Beach is complete without at least one stroll along (or into) the water, with miles of expansive sand and surf at your disposal — whether you’re looking for a bustling beach or a chance to stretch out and relax.